Only 26 per cent of those eligible contributed to an RRSP in 2010, and about 20 per cent of Canadians have opened a TFSA to date. Saving for retirement is a lengthy process and often involves utilizing contributions to both a registered retirement savings plan (RRSP) and a tax-free savings account (TFSA). However, statistics show Canadians are saving less than four per cent of their disposable income and, despite the billions of dollars invested in RRSPs and TFSAs, have plenty of room to add more to their retirement nest eggs. CBC News has compiled a number of important figures on retirement and financial planning in Canada. All figures are from Statistics Canada unless otherwise indicated. 5,956,010 — number of Canadians who contributed to an RRSP in 2010. 26% — percentage of eligible tax filers who contributed to an RRSP in 2010. $33.9 billion — total RRSP contributions in 2010 (up from $33 billion in 2009). $717 billion — total amount Canadians were entitled to contribute in 2010 (up from $671 billion in 2009). $632.9 billion — total unused RRSP contribution room. 21 million — number of Canadians with unused RRSP contributions in 2010. $2,790 — median RRSP contribution in Canada in 2010 (up from $2,680 in 2009). $4,900 — highest median RRSP contribution in 2010 (Nunavut). $2,300 — lowest median RRSP contribution (Nova Scotia and Manitoba tied for lowest). $22,000 — maximum allowable RRSP contribution per person in 2010. $330,095 — amount in an RRSP at age 65 if a person started contributing $2,000 every year from age 25 (assuming six per cent compound annual growth), according to Fiscal Agents investment calculator. 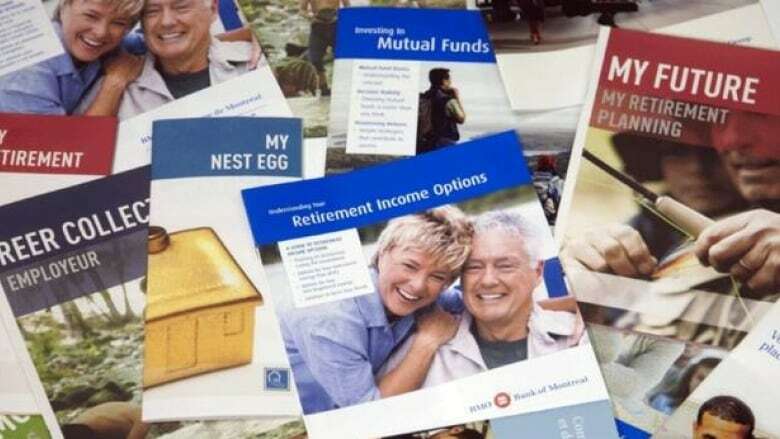 $169,603 — amount in an RRSP at age 65 if a person started contributing $2,000 every year from age 35 (assuming six per cent compound annual growth), according to Fiscal Agents. $79,985 — amount in an RRSP at age 65 if a person started contributing $2,000 every year from age 45 (assuming six per cent compound annual growth), according to Fiscal Agents. $54.4 billion — value of tax-free savings accounts in Canada as of June 2011, according to to data from the consulting firm Investor Economics. $39.2 billion — value of TFSAs in Canada at the end of 2010, according to Investor Economics . 8.56 million — number of TFSAs in Canada as of June 2011, according to Investor Economics. $6,354 — average account holding for TFSA as of June 2011, according to Investor Economics. $15,000 — amount Canadians could have put into a TFSA by 2011($5,000 each year). 6.7 million — number of Canadians who have opened a TFSA as of August 2011, according to Investor Economics. 16 — years an average 50-year-old Canadian in 2008 could expect to work before retiring. 12.5 — years an average 50-year-old Canadian in 1993 could expect to work before retiring. 79/83 — average life expectancy age of men and women, respectively, in 2008. $37,200 — average 2009 income for an elderly family (defined as one in which the major earner is 65 or older). 3.5% — percentage of personal disposable income Canadians save (as of third quarter of 2011). 20.2% — peak personal savings rate for Canadians to date (achieved in 1982). 150.8% — household debt (including consumer credit, mortgage and loan debt) as percentage of disposable income (as of third quarter of 2011). This means for every $1,000 in after-tax income, Canadian households owe $1,508.